England Hockey are excited to launch a three-part series about Performance Centres in England. 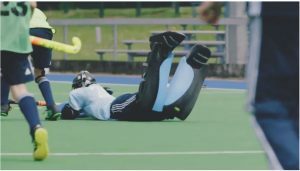 Ahead of the new season they have created a series of videos about the England Hockey Performance Centre environment to demonstrate the hard work and commitment that is required to progress in sport. Performance Centres are the top tier of the England Hockey Player Pathway. The 17 Performance Centres across the country provide the country’s best U15 and U17 players with a high-quality experience to support them to reach their potential. To find out more about the Player Pathway, please click here. Sally Mapley, Player Pathway Manager said; “We are really excited to share these, especially with our Player Pathway athletes hoping to reach the top of the sport.Through these unique videos we wanted to engage and educate the athletes, and all their support network, about the attitude and commitment needed to reach their full potential. “We have recently changed the delivery of our Player Pathway and after the first full year of the Performance Centre cycle realised that we needed to communicate to players and parents in all levels of the pathway what commitment was required to attend our performance centres and fulfil the athlete’s potential. In the first film in the series we meet Yuvraj from the Nottingham Performance Centre and hear about his journey in the Player Pathway and his aspirations for the future. 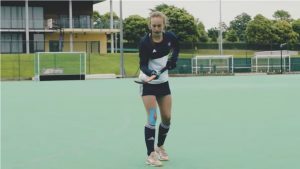 The second video Aimee, from Tonbridge Performance Centre shares her drive to be the best player she can and the challenges she encounters. There are three different stories from current Performance Centre players about their journey through the Player Pathway and their aspirations for the future. The third video will be shared on Friday 19 October.